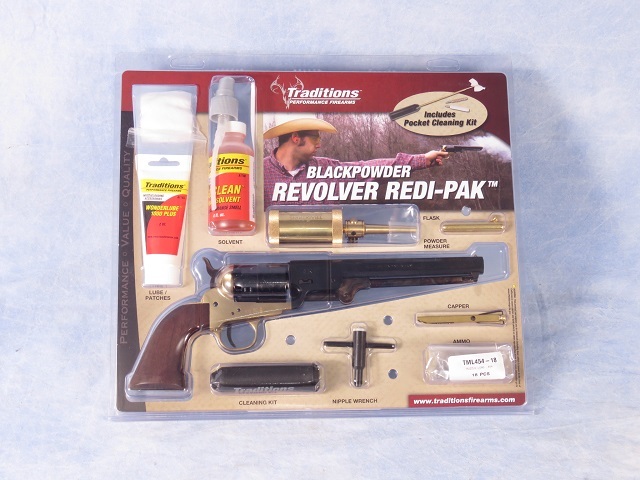 Traditions model 1851 Colt Navy blackpowder revolver redi-pak in .44 cal. Features include brass housing and frame, 7 3/8" blued octagonal barrel, single trigger, hammer-blade sights and walnut grips. The reliable Calvary sidearm that helped tame the west this redi-pak will get you into the field and shooting with almost everything needed! Barrel Length - 7 3/8"